I’m always looking for quick and easy ways to add a little festive touches around the house. 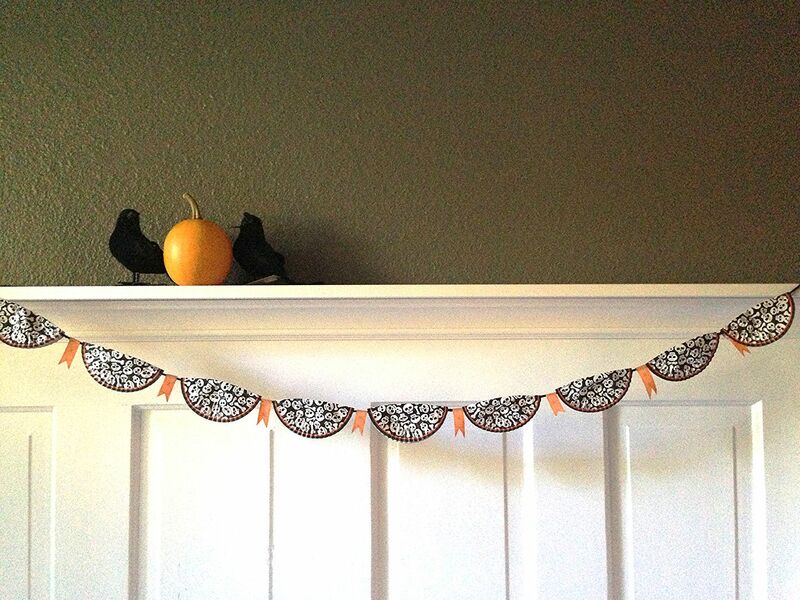 A garland is such an simple way to add a little festive flair so I whipped up a few of these cupcake liner and washi tape Halloween garlands. 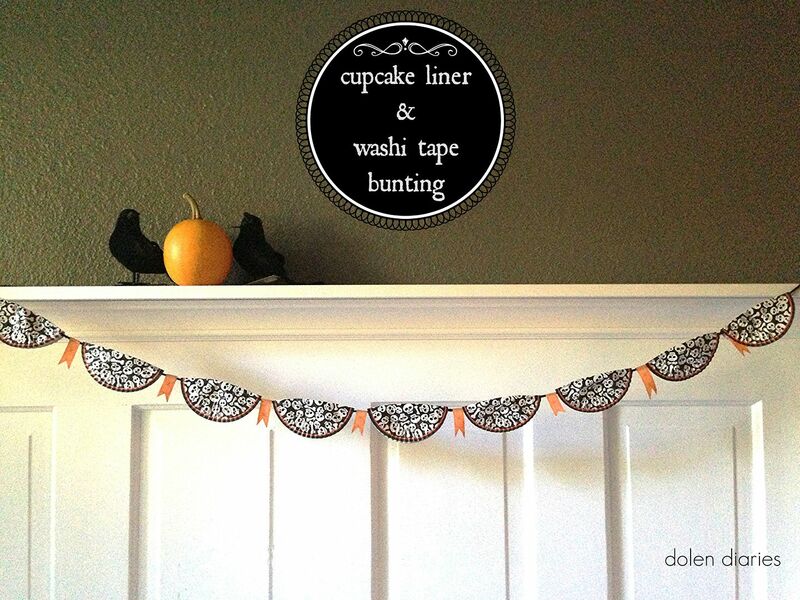 All you need is a long piece of yarn or string, cute cupcake liners, and some washi tape. 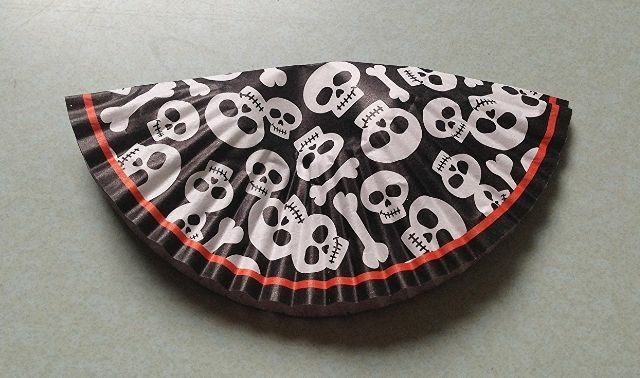 Fold the cupcake liners in 1/2. 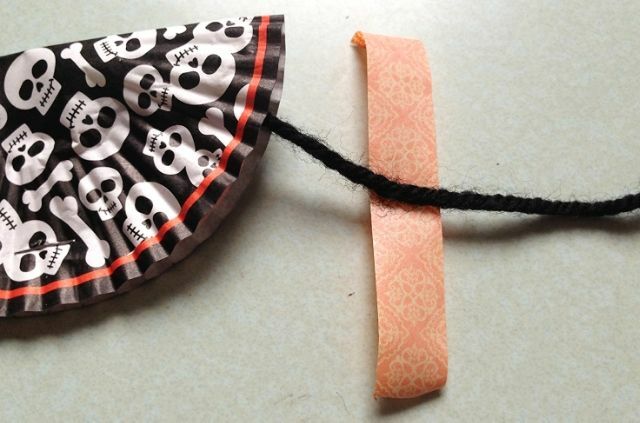 Place the yarn in the fold of the liner. Staple the liner together over the yarn. 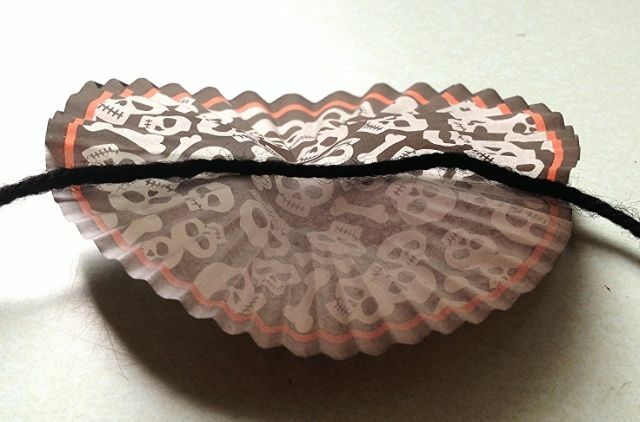 Space out the liners and then stick pieces of washi tape in-between the liners. 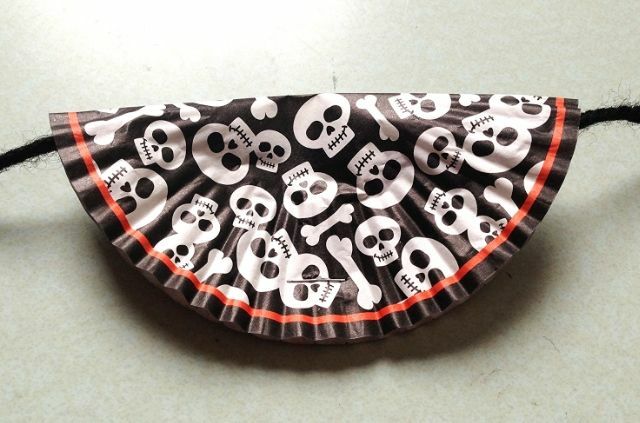 Fold over the washi tape. 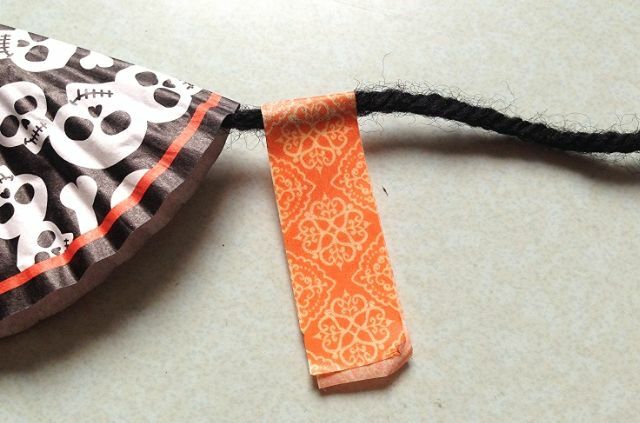 You can leave the ends of the washi tape square or trim them into points like I did here. That’s it! 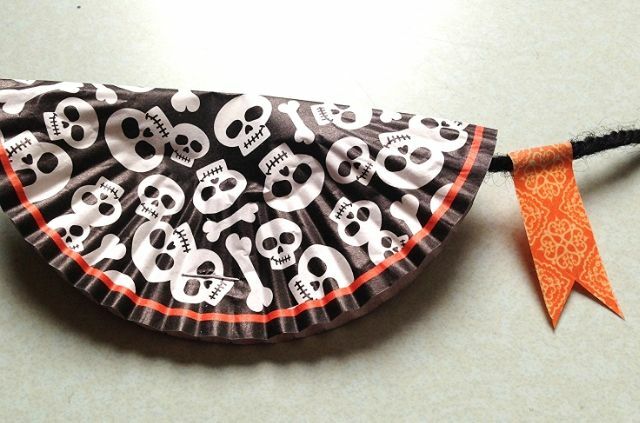 Super simple and so festively fun! Pop over to my festive page to see where I linked up! That is adorable and SO easy! I love it!